One emerging technology that has recently caught our attention here at Layer 7 is the Open Data Protocol, or OData for short. You can think of OData as JDBC/ODBC for the web. Using OData, web developers can query data sources in much the same way they would use SQL. It builds on the basic CRUD constructs of REST, adding the Atom Publishing Protocol to help flesh out the vision under a very standards-oriented approach. OData’s major promoter is Microsoft, but the company is clearly intent on making this protocol an important community-driven initiative that provides value to all platforms. I like OData; but as with any power tool, I approach it with care and some suspicion. I definitely agree that we need a formalized approach to interacting with Web data sources. OData is not SQL, but it brings enough familiar constructs with it to make the protocol easy to pick up and tremendously versatile. But OData also raises some significant security issues that need to be carefully considered before it is deployed. Most applications are designed to constrain a user’s view of data. Any modern relational database has the ability to apply access control and limit a user’s view to the records to which they are entitled. More often than not, however, the enforcement of these entitlements is a task delegated not to the database, but to the application that interacts with it. It can be extremely risky to permit direct outside connections into a database. People avoid doing this for a good reason. It is true that you can secure the connection with SSL and force the incoming user to authenticate. However, if an attacker was able to compromise this connection (perhaps by stealing a password), they could explore or alter the database at will. This is a gangster’s paradise. A simple web application is really a security buffer zone between the outside world and the database. It restricts the capabilities of the user through the constraints imposed by elements that make up each input form. Ultimately, the application tier maps user interactions to explicit SQL statements, but a well-designed system must strictly validate any incoming parameters before populating any SQL templates. From this perspective, web applications are fundamentally a highly managed buffer between the outside world and the data—a buffer that has the capability of applying a much more customizable and rigorous model of access control than a RDMS could. 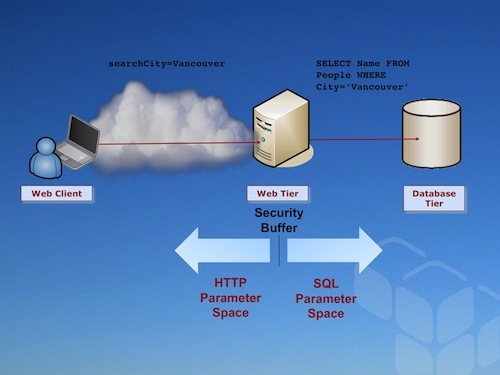 The Web application tier as security buffer between the database and the Internet. 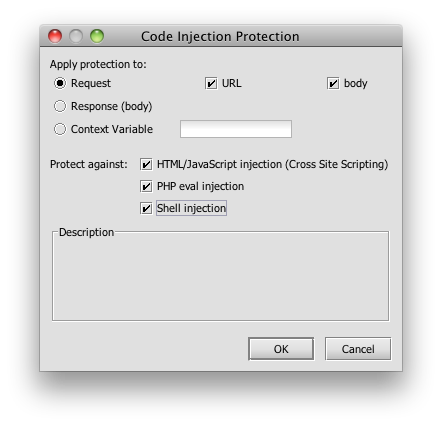 However, this is also why SQL injection can be such an effective vector of attack. An application that fails to take the necessary precautions to validate incoming data can, in effect, extend the SQL connection right outside to the user. And unconstrained SQL can open up the entire database to examination or alteration. This attack vector was very popular back in the PowerBuilder days, but lately it has made a startling resurgence because its effectiveness when applied to badly designed web apps. OData, of course, is the data source connection, so injection isn’t an issue—just getting a hold of it in the first place is enough. So what is critically important with OData is to strictly manage what this connection is capable of doing. OData servers need to provide not just authentication, authorization, and audit of the connection, but wholesale constraint of protocol function and data views as well. Web security demands that you assume the worst—and in this case, the worst is certainly compromise of the connection. The best way to manage this risk is to limit your exposure to what an attacker can do. In SQL-terms, this is like limiting the functions that a user can access, and restricting them to the views to which they are entitled (and they shouldn’t be entitled to much). The danger with OData is that some of the tools make it much too easy to simply open a connection to the data (“click here to make the database available using OData”); this can have widespread negative consequences if an attacker is able to compromise a legitimate user’s account. If the data source cannot itself impose the necessary constraints on the connection, then an intermediate security layer is mandatory. This is where Layer 7 can help. CloudSpan is fully compatible with OData, and can act as an independent security layer between the OData client (which may be a browser-resident application) and the OData server. It can offer not just AAA on the connection, but can narrow the OData API or mask query results based on an individual user’s entitlement. 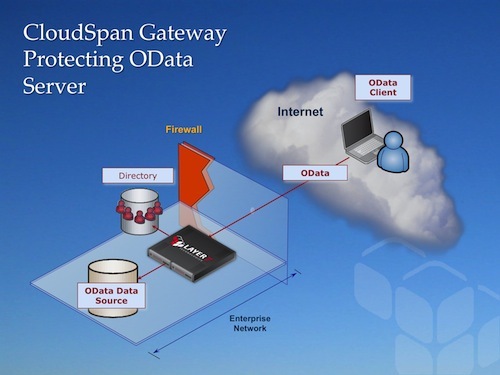 CloudSpan Gateways managing access to OData data sources. Here’s a real example that Julian Phillips, one of Layer 7’s architects, put together. Jules constructed a policy using the Netflix OData API, which is an experimental service the company has made available on the net. The Netflix API allows you to browse selections in their catalog. It has it’s own constraints built in—it’s already read-only, for example—but we are going to show how CloudSpan could be deployed to further constrain the API to implement stricter security protocols, and even enforce business rules governing access. What we are going to do here is add some security constraints, and then a business rule that restricts the ability of minors to only view movie titles with a rating of G or PG-13. Minors can build perfectly valid Netflix OData queries and submit them to the API; however, these will be trapped by the CloudSpan gateway before they get to the actual OData server. 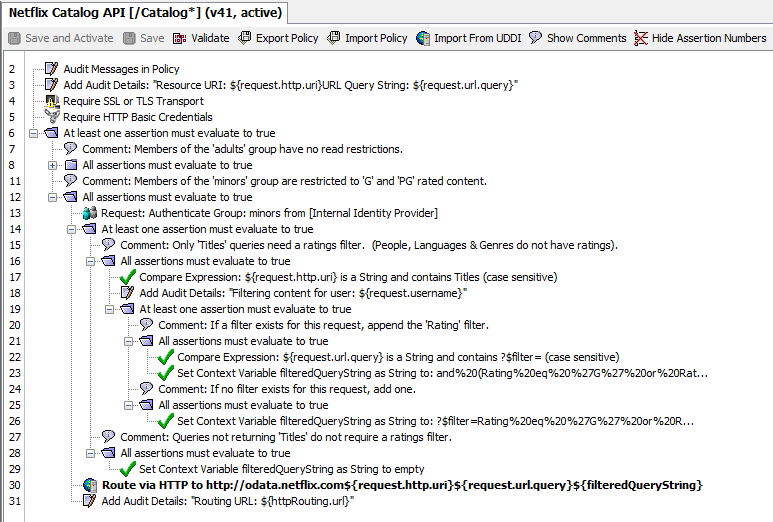 First off, the policy throws an explicit audit to capture both the URI and the query string for debugging purposes. We then ensure that the connection uses SSL (and subject to the cipher suite constraints currently in effect), and we mine HTTP basic credentials from the connection. Need Kerberos or SSL client-side certificate authentication instead? Just drag the assertions implementing either of these into the policy and you are good to go. This example is somewhat contrived, but you should be able to see how the intermediate security gateway can add critical constraint to the scope of OData protocol. OData shows a lot of promise. But like many new technologies, it needs to be managed with care. 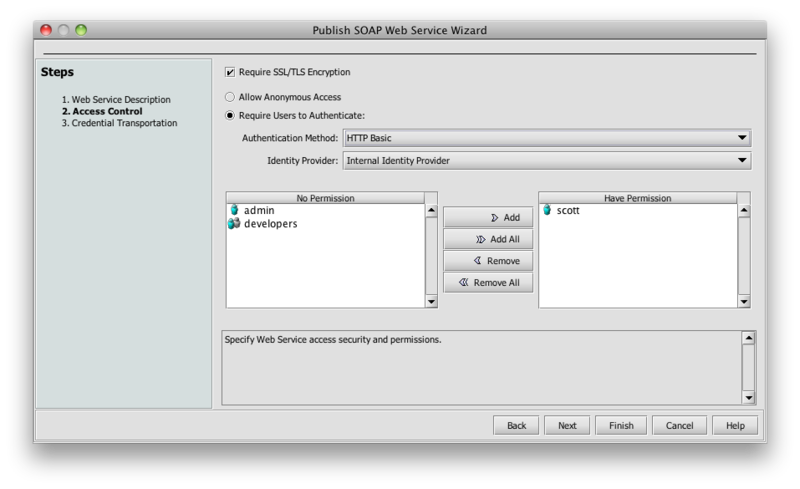 If deployed securely, OData can become an essential tool in any web developer’s toolkit. So you’ve bought into the idea of service-orientation. Congratulations. You’ve begun to create services throughout your internal corporate network. Some of these run on .NET servers; others are Java services; still others are Ruby-on-Rails—in fact, one day you woke up and discovered you even have a mainframe service to manage. But the question you face now is this: how can all of these services be made available to consumers on the Internet? And more important, how can you do it securely? Most organizations buffer their contact with the outside world using a DMZ. 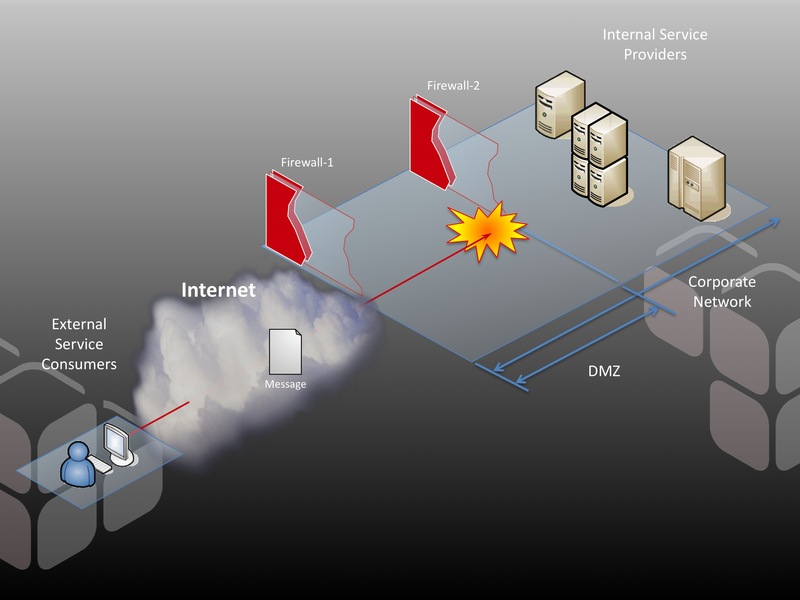 Externally facing systems, such as web servers, live in the DMZ. They mediate access to internal resources, implementing—well, hopefully implementing—a restrictive security model. 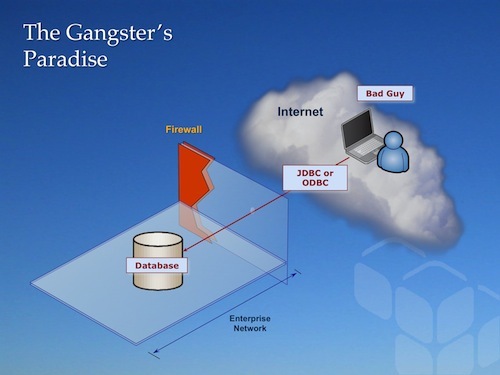 The DMZ exists to create a security air gap between protocols. The idea is that any system deployed into the DMZ is hardened, resilient, and publishes a highly constrained API (in most cases, a web form). To access internal resources, you have to go through this DMZ-based system, and this system provides a restricted view of the back-end applications and data that it fronts. The DMZ represents a challenge for publishing services. If services reside on internal systems, how can external clients get through the DMZ and access the service? Clearly, you can’t simply start poking holes in firewall #2 to allow external systems to access your internal providers directly; this would defeat the entire purpose of the DMZ security model. But this is exactly what some vendors advocate. They propose that you implement local security agents that integrate into the container of the internal service provider. These agents implement policy-based security—essentially taking on the processing burden of authentication, authorization, audit, confidentiality, integrity and key management. While this may seem attractive, as it does decouple security into a purpose-built policy layer, it has some very significant drawbacks. The agent model essentially argues that once the internal policy layer is in place, the internal service provider is ready for external publication. But this implies poking holes in the DMZ, which is a bad security practice. We have firewalls precicely because we don’t want to harden every internal system to DMZ-class resiliancy. An application-layer policy agent does nothing to defeat OS-targetted attacks, which means every service provider would need to be sufficiently locked down and maintained. This becomes unmanagable as the server volume grows, and completely erodes the integrity of firewall #2. Furthermore, in practice, agents just don’t scale well. Distribution of policy among a large number of distributed agents is a difficult problem to solve. Policies rapidly become unsynchronized, and internal security practices are often compromised just to get this ponderous and dependent system to work. At Layer 7 we advocate a different approach to publishing services that is both scalable and secure. 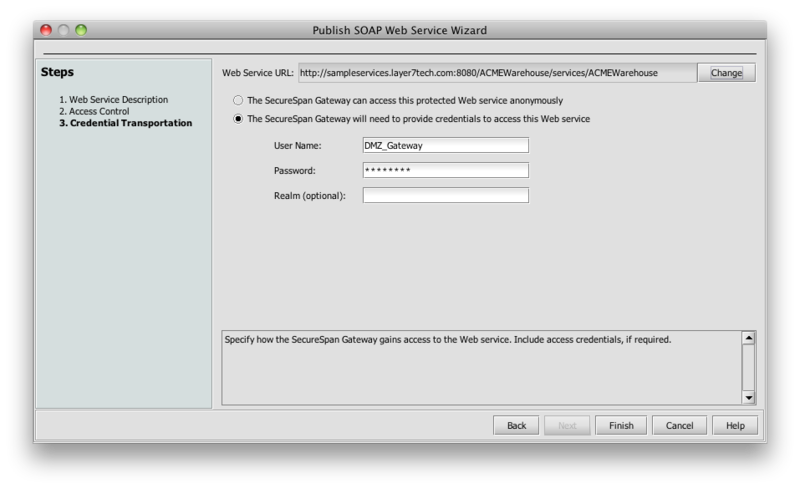 Our flagship product, the SecureSpan Gateway, is a security proxy for Web services, REST, and arbitrary XML and binary transactions. It is a hardened hardware or virtual appliance that can be safely deployed in the DMZ to govern all access to internal services. It acts as the border guard, ensuring that each transaction going in or out of the internal network conforms to corporate policy. SecureSpan Gateways act as a policy air-gap that constrains access to back end services through a rich policy-based security model. This integrates consistently with the design philosophy of the DMZ. Appliances are hardened so they can withstand Internet-launched attacks, and optimized so they can scale to enormous traffic loads. We built full clustering into SecureSpan in the first version we released, close to eight years ago. This ensures that there is no single point of failure, and that systems can be added to accommodate increasing loads. The separate policy layer—and the policy language that defines this—is the key to the security model and is best illustrated using a real example. Suppose I have a warehouse service in my internal network that I would like to make available to my distributors. The warehouse service has a number of simple operations, such as inventory queries and the ability to place an order. I’ll publish this to the outside world through a SecureSpan Gateway residing in the DMZ, exactly as shown in the diagram above. If this policy sounds familiar, it’s because it’s the security model for most web sites. 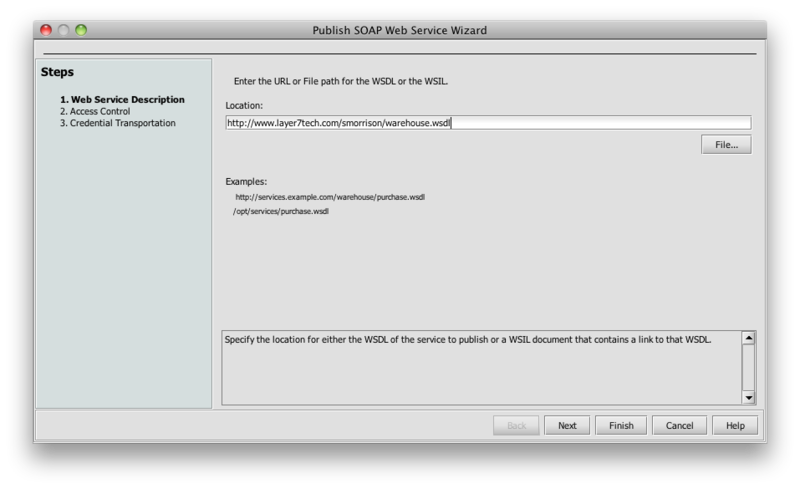 It turns out that this is a reasonable model for many XML-based Web services as well. You may have noticed that this assumes that the warehouse services doesn’t need to know the identity of the original requester-—that is, Scott. If the service did need this, there are a number of ways to communicate my identity claim downstream to the service, using techniques like SAML, IBM’s Trust Association Interceptor (TAI), proxied credentials, or various other tricks that I won’t cover here. Policy is made up of individual assertions. These encapsulate all of the parameters that make up that operation. When a message for the warehouse service is identified, SecureSpan loads and executes the assertions in this policy, from top to bottom. Essentially, policy is an algorithm, with all of the classic elements of flow control. SecureSpan represents this graphically to make the policy simple to compose and understand. However, policy can also be rendered as an XML-based WS-Policy document. In fact, if you copy a block of graphical assertions into a text editor, they resolve as XML. Similarily, you can paste XML snippets into the policy composer and they appear as graphical assertion elements. This policy is pretty simplistic, but it’s a good foundation to build on. I’ll add some elements that further restrict transactions and thus constrain access to the back end system the SecureSpan Gateway is protecting. Note that if I get 5,001 transactions from a user in one second, I will buffer the last transaction until the rate drops in a subsequent time window (subject, of course, to resource availability on the gateway). This provides me with application-layer traffic shaping that is essential in industries like telco, who use this assertion extensively. This policy was simple to compose (especially since we had the wizard to help us). But it is also very effective. It’s a visible and understandable, which is an important and often overlooked aspect of security tooling. SOA security suffers from an almost byzantine complexity. It is much too easy to build a security model that obscures weakness behind its detail. 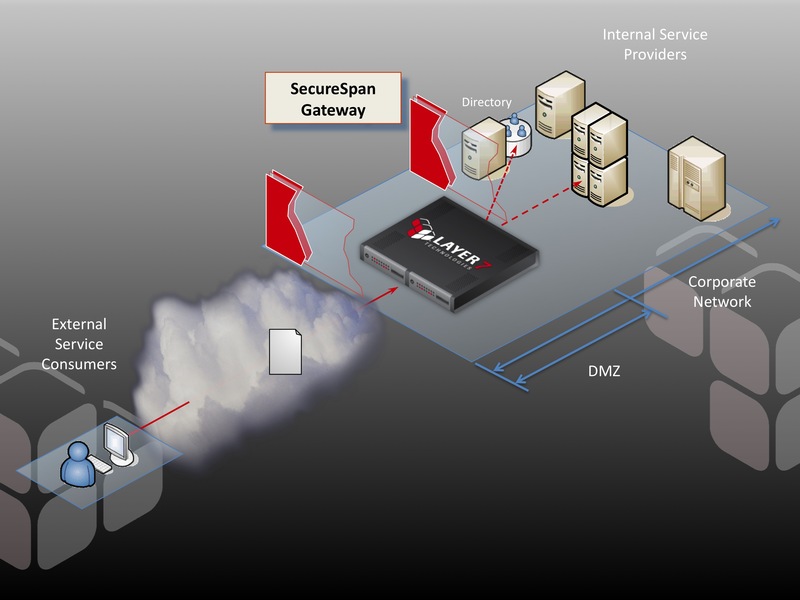 One of the design goals we had at Layer 7 for SecureSpan was to make it easy to do the simple things that challenge us 80% of the time. However, we also wanted to provide the richness to solve the difficult problems that make up the other 20%. These are problems such as adaptation. They are the obscure impedance-mismatches between client and server security models, or fast run-time adaptation of message content to accommodate version mismatches. In this example, it took only seven simple assertions to build a basic security policy for publishing services to the outside world. Fortunately, there are over 100 other assertions—covering everything from message-based security to transports like FTP to orchestration—that are there when you need to solve the tougher problems.